This dessert has been a favorite of mine since childhood. And it includes eating the mixture raw, just because it tasted so yummy from all the milk. 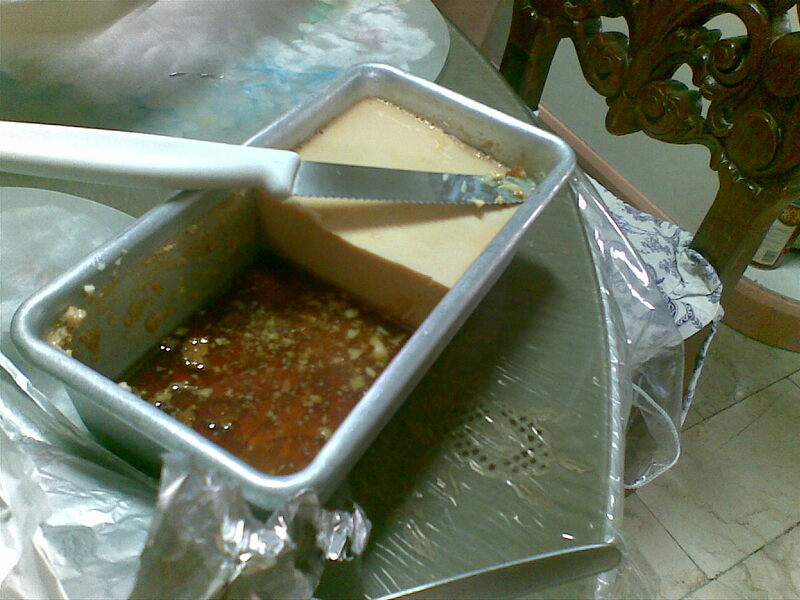 Ah, leche flan. The recipe will now become immortalized in this blog. 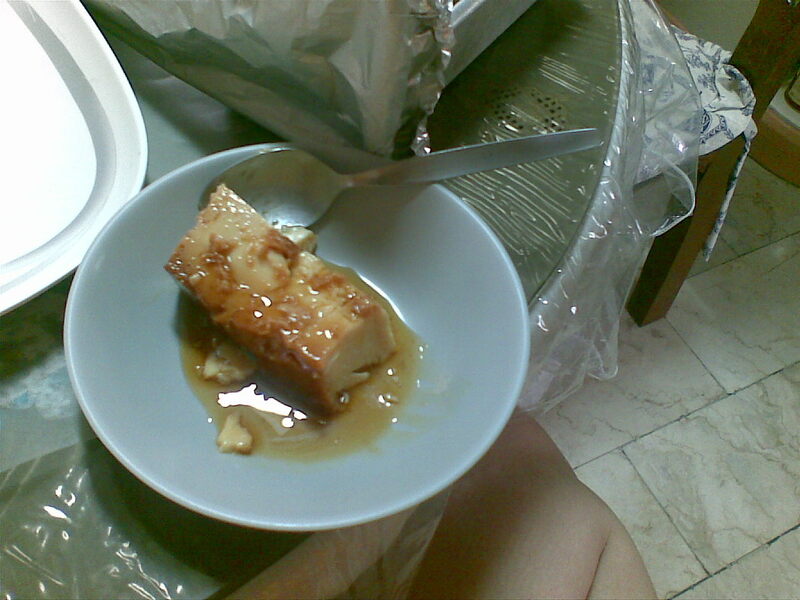 I have always liked our leche flan. Throughout the years, we make it more than 10 times a year for random occasions like birthdays, new years, or just because we have a hankering for it, like now. It’s really easy, it’s just a bit expensive to make, for me at least. It’s all the good things that become bad when you have too much of it: milk, eggs, sugar. You basically have 8 egg yolks, beaten not to death. You add both milks and mix. That’s it. That’s the custard. Now for the sugar on the bottom. You can either do this on a separate pan, then transfer it to the final container. We do it straight, where we place the pans on the burner with sugar. Once the sugar browns, little water is added to make the melted sugar into syrup. That’s cooled a while and then topped with the custard. 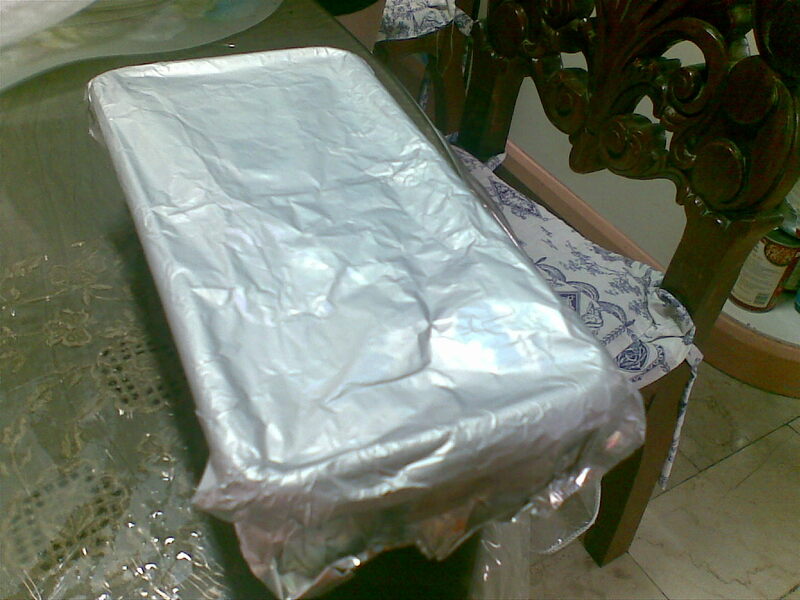 The whole container is covered with a foil and then steamed slowly for an hour. Yummy. This totally evokes memories of me rushing to eat this custard. And I remember too how every kid in this family of ours loved this sooo much at one point in time. Now, it has become everyone’s staple dessert. And when mommy makes it, it never disappoints. I saw your post in FoodPress, its in the front page just a while ago and became interested becuase I thought this post might have been from a Filipino blogger which concludes that I am right after clicking it! I am a Pinoy food blogger as well.